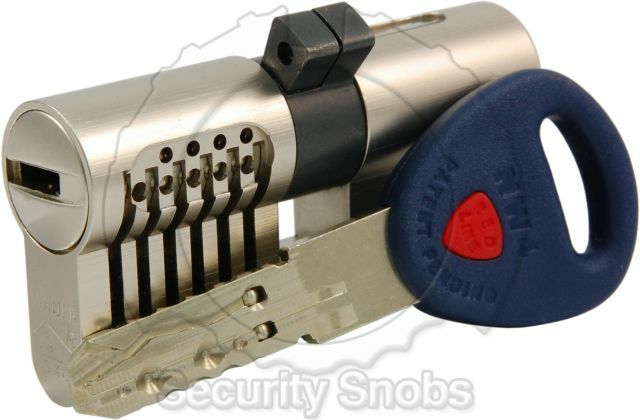 The Mauer cutaway is a high security lock that shows off several different locking mechanisms. 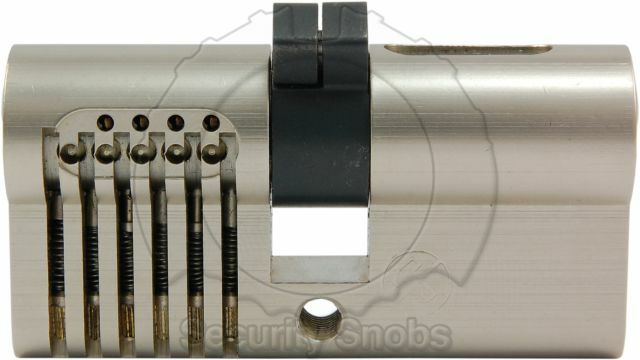 It has a horizontal pin tumbler system, a set of sliders that track a laser groove on the key, an interactive ball element towards the bow of the key, and side pins that check against the side of the key. The system is similar to the current Mul-T-Lock MT5 but actually preceeded it. it is a great cutaway to show exactly how a variety of common high security features work. Mauer NW4 Cutaway was successfuly added to your shopping cart. You can browse for more products or proceed to checkout.